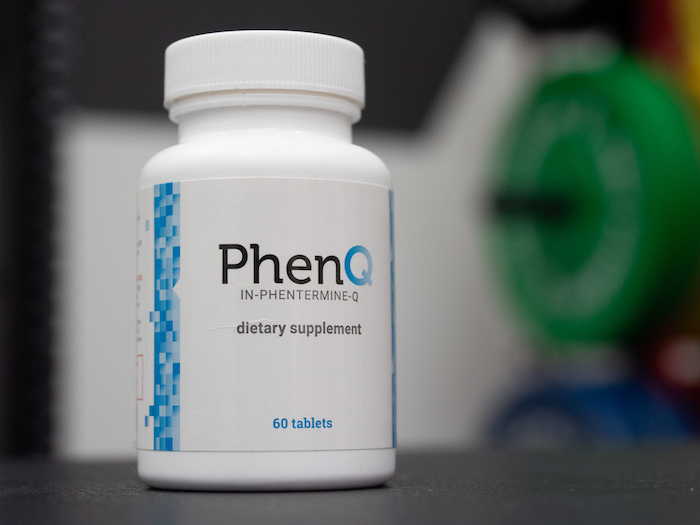 Home » PhenQ Fat Burner Review: Does Caffeine Help With Weight Loss? PhenQ Fat Burner Review: Does Caffeine Help With Weight Loss? PhenQ has an interesting mixture of both classic, well researched ingredients and unusual novel ones. Supplied and manufactured by Wolfson Berg, PhenQ is a supplement intended to help you lose weight and it is very confident in its ability to do so. Fat burners, we know, have a reputation for exaggerating their claims, but we took a hard look at the ingredients list and we think it may well have the potential to help with weight loss. So what does PhenQ do well and what could it do better? 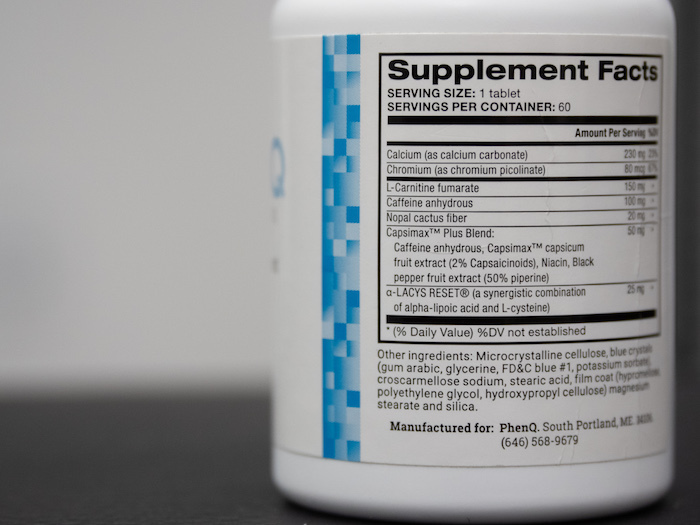 This supplement contains fat burning staples such as capsaicin and black pepper extract. Editor’s note: The content on BarBend is meant to be informative in nature, but it should not be taken as medical advice. The opinions and articles on this site are not intended for use as diagnosis, prevention, and/or treatment of health problems. It’s always a good idea to speak with your physician before making any significant changes to your diet or exercise routine. These kinds of products typically work in one or more of four categories. 1. Appetite suppression: Decreasing the desire to eat. 2. Thermogenesis: Increasing calories burned at rest. 3. Decreased calorie absorption: Fewer of the calories you consume are digested properly. 4. Increased fat oxidation: Your body burns more fat for fuel than it would have otherwise. It’s really important to note that even if a fat burner has all the most effective ingredients at the most effective doses, it’s unlikely to result in any more than one or two hundred extra calories burned — the amount you’ll get in one or two tablespoons of oil. The most important part of weight loss or weight gain is monitoring your calorie intake. However, if you do keep a close eye on the calories you consume and follow a weight loss plan prescribed by a healthcare professional, it’s possible that these supplements can make a slight difference. So how do the ingredients in PhenQ work? Here’s what you’ll find in one pill, and note that you’re meant to take two of them every day. 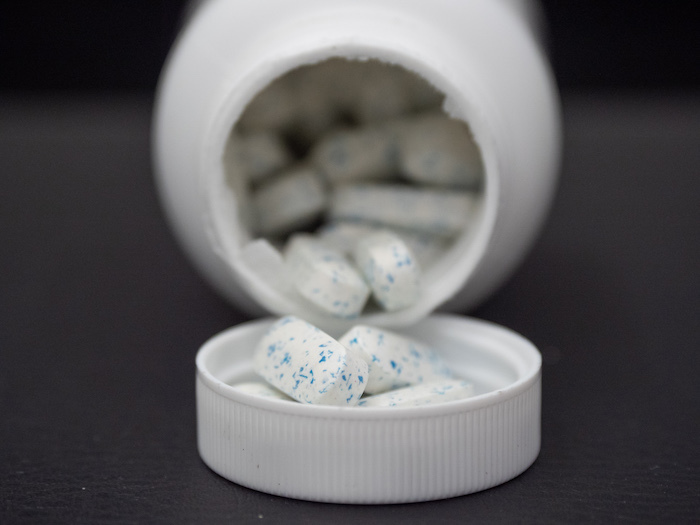 There are other ingredients as well which aren’t tied to the product’s effects: microcrystalline cellulose, blue crystals (gum arabic, glycerine, FD&C blue #1, potassium sorbate), croscarmellose sodium, stearic acid, film coat (hypromellose, polyethylene glycol, hydroxypropyl cellulose), magnesium stearate, and silica. Judging from the scientific literature, these ingredients primarily work by improving thermogenesis — the amount of calories you burn at rest — and increasing fat oxidation. While some of the ingredients have some links with appetite suppression, I wouldn’t consider PhenQ especially effective in this regard. So let’s go down the line. Capsimax is a blend of capsaicin, caffeine, black pepper extract and niacin. There have been a few studies showing useful effects: a rat study in Toxicology Reports found that it increased fat oxidation from exercise, another found it might boost fat excretion, and probably the most influential was published in Appetite in 2017. (7)(8)(9) It found that just a few milligrams of Capsimax decreased waist circumference, although some also experienced gastrointestinal distress. 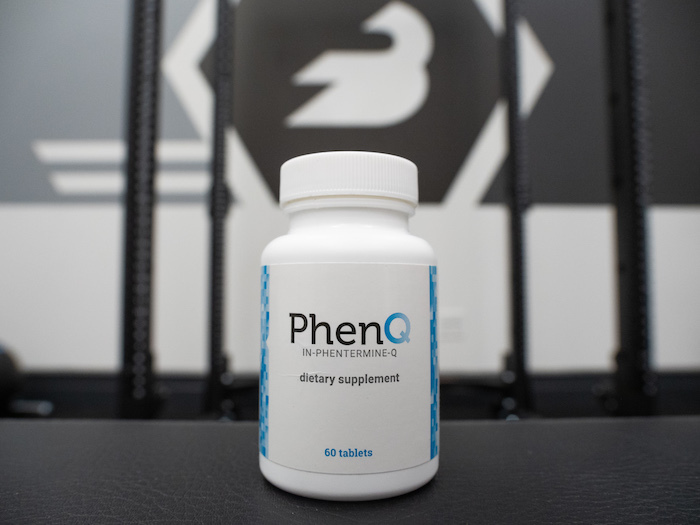 You’d be taking 100 milligrams per day in PhenQ, which a smaller pilot study found resulted in 116 extra calories burned a day. 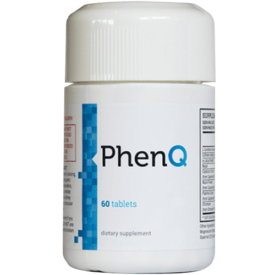 PhenQ places a strong emphasis on this ingredient, claiming that it can dramatically lower body fat and increase muscle mass. It’s a mixture of alpha lipoic acid, L-cysteine acid, and magnesium. It seems to be a pretty strong antioxidant and can maybe help with insulin sensitivity, which is closely tied with weight management. (15) There is some evidence it helps reduce appetite and a 2018 meta analysis published in Clinical Nutrition found that it made a “slight but significant” decrease in body weight: a couple of pounds. (16)(17) However, most of the research suggests at least 800 milligrams of it per serving and there’s just 50 milligrams of α-Lacys RESET® in a daily dose of PhenQ, so the usefulness is a little unclear. There are 60 pills per bottle and you’re instructed to take two per day. So one bottle is a 30-day supply and costs between $65 to 75, coming out to between $2.10 and $2.50 per day. You’re encouraged to subscribe to regular shipments: when you get 2 bottles at a time you get a third one for free, so you can get 3 bottles for $140, dropping the price to $1.55 per day. So it’s pretty hard to compare different fat burners by price as they vary so widely in ingredients, but it’s true that the most popular on the market tend to be about $1 per day. PhenQ is pricier, but the ingredients are likely little more effective than your average competitor. It also has a 60-day money back guarantee, which will bring peace of mind to some consumers. 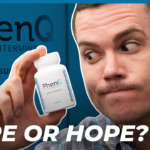 PhenQ is a tricky product because some of the ingredients don’t have a lot of evidence behind them (like l-carnitine fumarate) or they seem underdosed (like α-Lacys RESET). However, it is a good source of the most research backed ingredients — caffeine and Capsimax — and I wouldn’t be surprised to learn that this product burns a good one or two hundred calories per day. I think it could have had a bigger emphasis on appetite suppression and I wasn’t wild about some of the marketing claims, but overall I think this is a decent product for increased thermogenesis and fat oxidation. Just remember you still need to keep an eye on your calories. 1. Urbina SL, et al. Effects of twelve weeks of capsaicinoid supplementation on body composition, appetite and self-reported caloric intake in overweight individuals. Appetite. 2017 Jun 1;113:264-273. 5. Chaiyata P, et al. 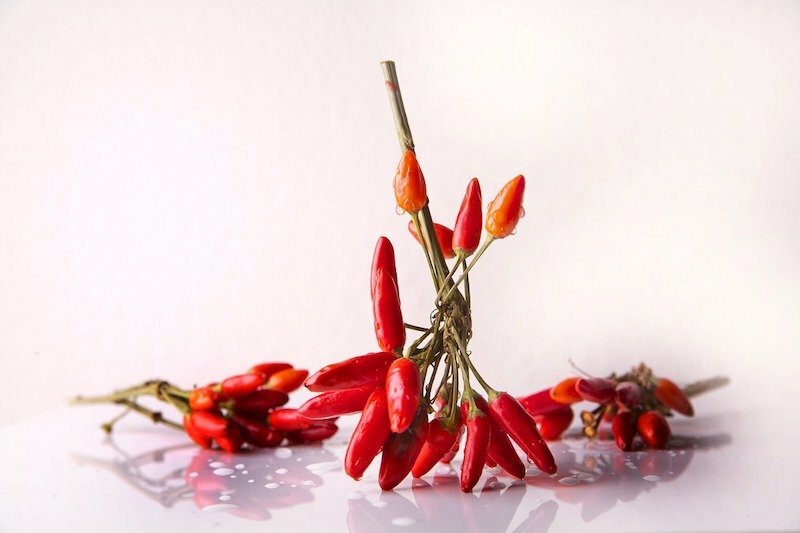 Effect of chili pepper (Capsicum frutescens) ingestion on plasma glucose response and metabolic rate in Thai women. J Med Assoc Thai. 2003 Sep;86(9):854-60. 6. Galgani JE, et al. Effect of dihydrocapsiate on resting metabolic rate in humans. Am J Clin Nutr. 2010 Nov;92(5):1089-93. 7. Bloomer RJ, et al. Effect of oral intake of capsaicinoid beadlets on catecholamine secretion and blood markers of lipolysis in healthy adults: a randomized, placebo controlled, double-blind, cross-over study. Lipids Health Dis. 2010 Jul 15;9:72. 8. Sahin K, et al. Capsaicinoids improve consequences of physical activity. Toxicol Rep. 2018 May 15;5:598-607. 9. Urbina SL, et al. Effects of twelve weeks of capsaicinoid supplementation on body composition, appetite and self-reported caloric intake in overweight individuals. Appetite. 2017 Jun 1;113:264-273. 10. Christensen R, et al. Effect of calcium from dairy and dietary supplements on faecal fat excretion: a meta-analysis of randomized controlled trials. Obes Rev. 2009 Jul;10(4):475-86. 11. Pittler MH, et al. Chromium picolinate for reducing body weight: meta-analysis of randomized trials. Int J Obes Relat Metab Disord. 2003 Apr;27(4):522-9. 12. Uebelhack R, et al. Effects of cactus fiber on the excretion of dietary fat in healthy subjects: a double blind, randomized, placebo-controlled, crossover clinical investigation. Curr Ther Res Clin Exp. 2014 Jun 21;76:39-44. 13. Pistone G, et al. Levocarnitine administration in elderly subjects with rapid muscle fatigue: effect on body composition, lipid profile and fatigue. Drugs Aging. 2003;20(10):761-7. 14. Villani RG, et al. L-Carnitine supplementation combined with aerobic training does not promote weight loss in moderately obese women. Int J Sport Nutr Exerc Metab. 2000 Jun;10(2):199-207. 15. Gualandri W, et al. Redox balance in patients with Down’s syndrome before and after dietary supplementation with alpha-lipoic acid and L-cysteine. Int J Clin Pharmacol Res. 2003;23(1):23-30. 16. Kim MS, et al. Anti-obesity effects of alpha-lipoic acid mediated by suppression of hypothalamic AMP-activated protein kinase. Nat Med. 2004 Jul;10(7):727-33. 17. Namazi N, et al. Alpha-lipoic acid supplement in obesity treatment: A systematic review and meta-analysis of clinical trials. Clin Nutr. 2018 Apr;37(2):419-428.